One of the greatest changes of iOS 10 is the addition of drawing tools, stickers, big Emojis and iMessages effects in the Messages app. Apple also allowed the Messages app to be integrated with third-party apps. These features give users complete different experience in expressing their emotions while having fun and interactive chats with their friends. However, there are many users reporting that the iOS 10 hinders them from sending or experiencing the new iMessage effects. If you are experiencing this issue, do not fret as you are not alone. Some users who updated their iPhone 6, iPhone 6s and iPhone 7 to iOS 10 are not able to see the effects and only see the messages like normal. This can be frustrating as most users who installed the latest version are hyped in trying out the bubble effects or screen effects in Messages app. Fortunately, there are many easy solutions to fix this issue. This guide will show you how to fix iMessage effects not working properly. Learn how to fix iMessage effects not working in iOS 10. Step 1: Open Settings app and select Messages. Step 2: On Messages, select the Send & Receive option. Step 3: Tap the current address you are signed into. Step 4: Tap Sign Out. Wait for at least thirty seconds before you sign back in. Repeat these steps on all your iOS devices before you continue. Step 5: To sign back in, simply go back to Settings app and select Messages. Once you are signed back in, you can go back to Messages app and see if you can already see the effects. The most common fix to solve the problem for Emojis not working is by turning off the Reduce Motion, which you may have turned on before to disable the effects of the app icons in your home screen. If Reduce Motion is enabled, it may also make problems for iMessage effects. Step 1: Open Settings app and tap General. Step 2: Select Accessibility and tap Reduce Motion. Step 3: If the Reduce Motion feature is on, simply tap to disable it. Close Settings app and open Messages app. You can now check if you can see iMessage effects sent by your friends. If you still cannot see the effects, you can try the other alternative fixes below. Step 1: Go to Settings app and tap General. Step 3: Toggle on Auto-play Message Effects. If the problem still persists, continue with the next solution. A simple reboot or restart can solve many problems and this method has been applied to almost all iPad or iPhone problems. You can also try restarting or rebooting your iDevice to make iMessages effects work. To restart your iDevice, simply press and hold down the On/Off button until a slider appears. Drag slide to power off and wait for at least 20 seconds before you turn your iDevice back on. To reboot your iDevice, simply press and hold down the On/off button and Home button at the same time for at least ten seconds until the Apple logo appears. For iPhone 7 users, press and hold down the volume down button instead of Home button. 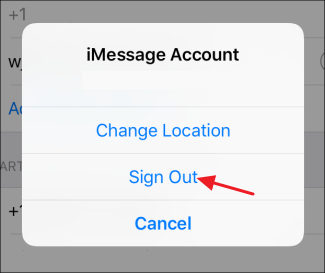 Turn iMessage off and on – To perform this, simply go to Settings app, select Messages and turn off iMessage. Wait for few seconds before you turn it back on. Close Messages app – Simply double tap the Home button and close the Messages app by swiping it up. Wait for few seconds before you launch it again. Turn off 3D Touch – Some users have reported that turning off 3D touch worked in solving the issue Open Settings app, tap General and Select Accessibility. Tap 3D Touch and toggle it off. Reset All Settings – If nothing worked, you can try to reset all settings but make sure to have backup to avoid missing files. Go to Settings, tap General, select Reset and tap Reset All Settings. Restore iDevice – Your last option is to restore your iDevice with iCloud or iTunes. Make sure to backup your iDevice to prevent data loss. Leave a Comment Below, if you’re having an iMessage problem!